Once again, there has been some discussion online about self-publishing versus traditional publishing, prompted by a deeply-flawed report by Hugh Howey posted here. Others have already taken apart Howey’s argument, so I won’t bother – although I will point out that equating the quality of a work of fiction with its level of commercial success is a fallacy and not at all useful. However, on reading Howey’s piece it occurred to me that my own experiences self-publishing my Apollo Quartet over the past two years might prove a more useful example. Especially since I can provide actual numbers – ie, real data. 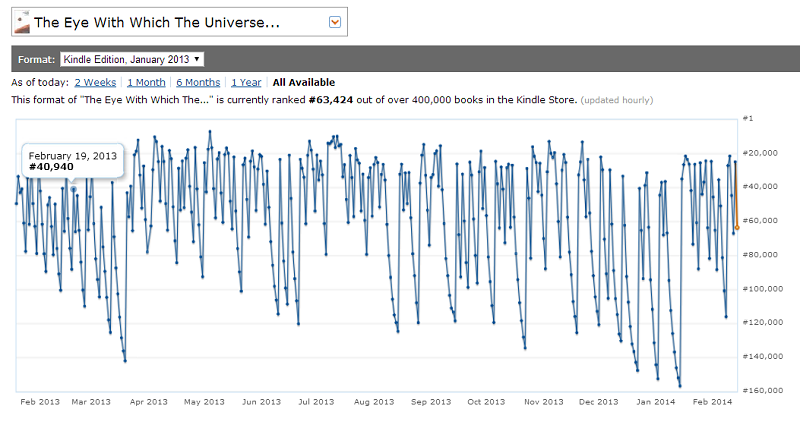 I am an award-winning self-published science fiction author, but my level of commercial success has been very modest. I’m happy with this – I didn’t self-publish in the hope of earning £millions, and I put much greater personal stock in critical acclaim than I do units sold. The first book of the Apollo Quartet, Adrift on the Sea of Rains, was published on 9 April 2012, and launched at that year’s Eastercon, Olympus 2012 at the Radisson Edwardian Hotel, Heathrow. I priced the signed hardback at £5.99 and the paperback at £3.99, price points I felt were about right for its length, although during the convention it was sold for £5 and £3 respectively. 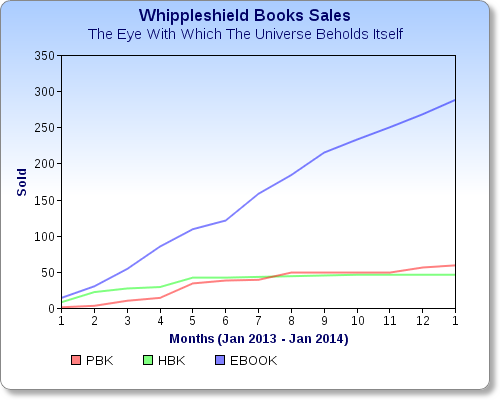 The second book, The Eye With Which The Universe Beholds Itself, was published on 17 January 2013. Since the cover prices for the first book had barely covered the costs of printing the book – and actually resulted in a loss on each sale through Amazon, thanks to its non-negotiable 60% discount – I increased the hardback and paperback cover prices to £6.99 and £4.99. At that year’s Eastercon on the weekend of 29 March 213 to 1 April 2013, EightSquaredCon at the Cedar Court Hotel in Bradford, I sold copies of The Eye With Which The Universe Beholds Itself at £6 and £4. The third book of the Apollo Quartet, Then Will The Great Ocean Wash Deep Above, was published on 30 November 2013, and had the same pricing as the preceding book. 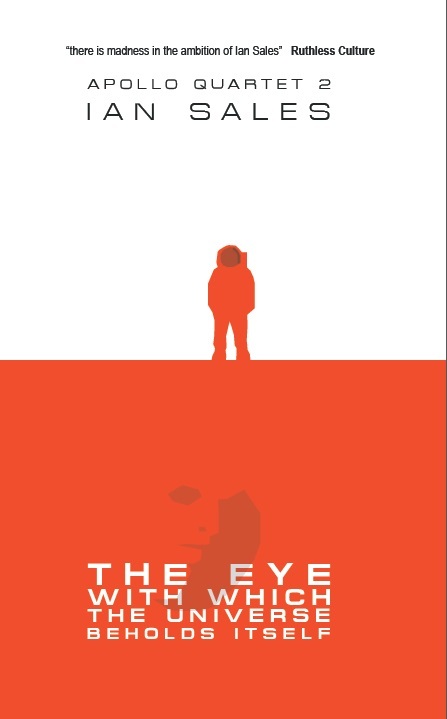 On 30 August 2013, I dropped the price of the paperback of The Eye With Which The Universe Beholds Itself to £3.99 and the ebook edition to £1.99. Initially, the new lower price was only intended to last for the month of September 2013, but I’ve kept them in place ever since. The new paperback price only applies on copies bought through the Whippleshield Books online store. Amazon currently offers the paperbacks for each book at £3.99, £4.84 and £4.97. So, while it’s possible to make a profit assuming the only costs are printing costs, there’s not enough in it to make it worth the time and effort. 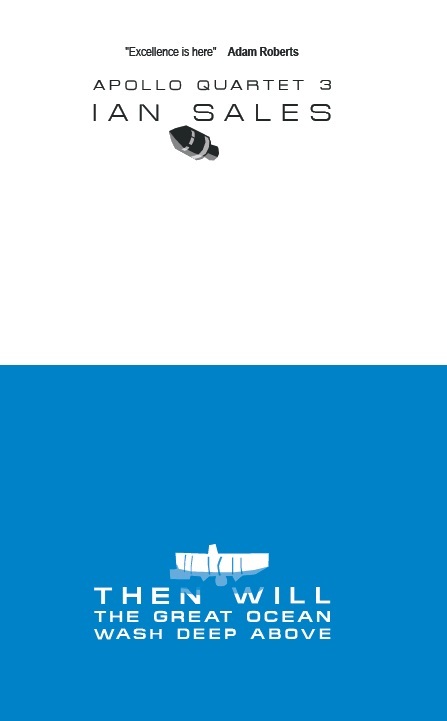 However, each book is also available in an ebook edition, priced at £2.99. And that’s where the money lies. The hardbacks and paperback editions of the Apollo Quartet have been, to put it bluntly, subsidised by the Kindle editions of the books. As of 14 February 2014, Whippleshield Books is £939.14 in the black, and I’m pretty sure it’d still be in the red if I’d only published the Apollo Quartet in hardback and paperback. 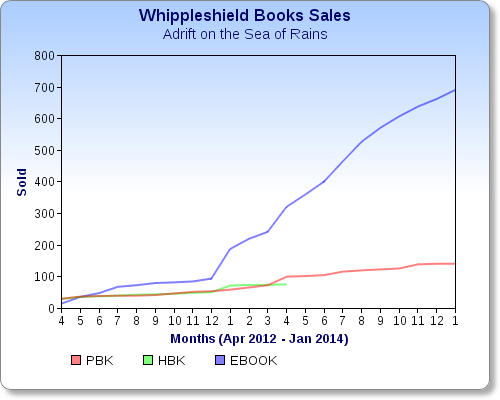 Although Adrift on the Sea of Rains won the BSFA Award in April 2013, the two jumps in sales shown on the graph above were a result of mentions in the Guardian newspaper. Neither The Eye With Which The Universe Beholds Itself nor Then Will The Great Ocean Wash Deep Above have received such mentions. In fact, to date Adrift on the Sea of Rains has been reviewed in 44 venues, The Eye With Which The Universe Beholds Itself in 21 venues, and Then Will The Great Ocean Wash Deep Above in only 7. Each book also has, respectively, 18, 8 and 3 reviews on Amazon UK; and 7, 4 and 3 reviews on Amazon US. And I’ve yet to be convinced the rankings are in any way useful to the author or publisher. So, what have I learned publishing the first three books of the Apollo Quartet? The most obvious lesson is that ebooks are crucial. They subsidise the hardbacks and paperbacks. 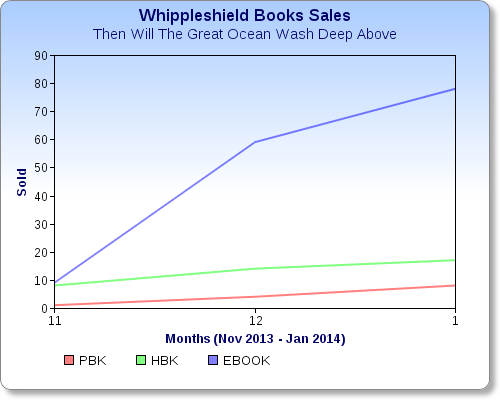 And of all the ebook platforms, the Kindle is by far the most successful. I never bothered releasing the Apollo Quartet on Smashwords or the iTunes store, but I’m told by other small presses that it’s actually not worth the bother of doing so – over 90% of ebook sales will be from Amazon. I have made the Apollo Quartet available on Kobo, and both epub and mobi editions have been there for purchase from the Whippleshield Books online store from publication dates of each novella. But I’ve sold only single figures of each book from either of those venues. Having said that, timing also plays a part. The Eye With Which The Universe Beholds Itself was published in January, leading many to mistakenly believe it was published in the previous year and so ineligible to be nominated for that year’s award. 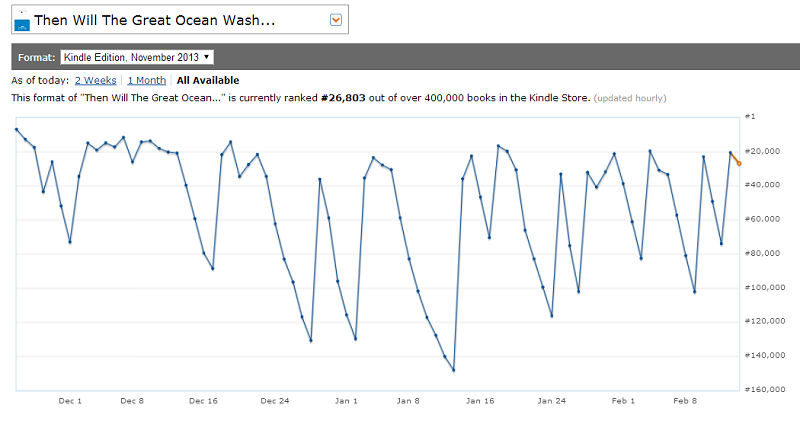 I published Then Will The Great Ocean Wash Deep Above at the end of November, giving only two months – and over Christmas too – for word to spread before nominations for the BSFA Award closed. The best time to launch a book is between April and August, which gives sufficient time for sales to grow and word-of-mouth to spread. It’s even better if you can launch the book at a convention, as you’ll have a captive audience of your core readership for an entire weekend. Although everyone says “don’t judge a book by its cover”, I’m pretty sure people do. Several friends and acquaintances have complimented me on the cover art for Adrift on the Sea of Rains but I’ve no way of knowing how much of a factor it was in generating sales. 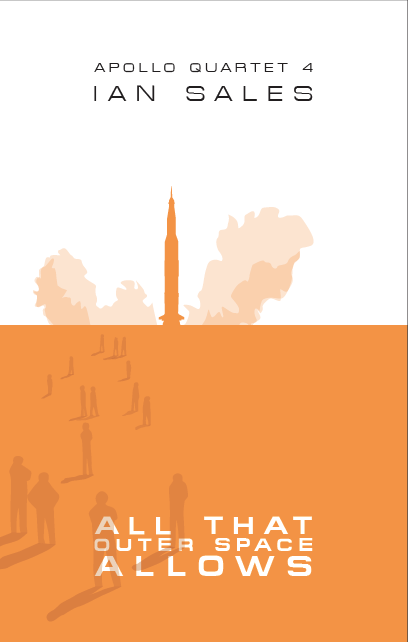 I’ll be releasing a new edition of The Eye With Which The Universe Beholds Itself with new cover art soon, so hopefully that should give some indication of the role played by cover art. I also deliberately chose titles – long titles, which have subsequently proven a bit of an arse to type out all the time – which sounded literary and so signalled the Apollo Quartet was literary science fiction. This may be why the one group of people I thought might buy the novellas have so far failed to do so: space enthusiasts. 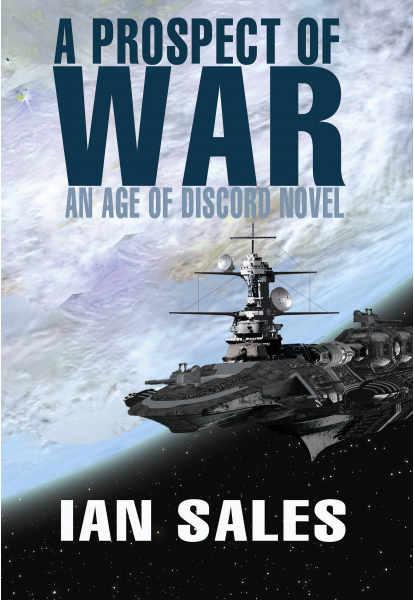 I sent copies to a couple of space-related websites, but none have so far run reviews. But then I’m not known in that group and have zero social capital there. I still think the Apollo Quartet would greatly appeal to space enthusiasts, but I’ve yet to find a way to get that message to them. Having audiences in two readership blocs can only help sales. 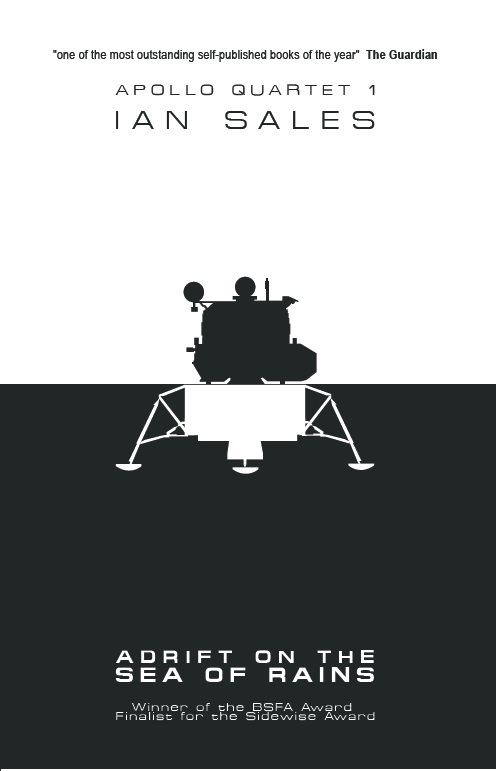 Finally, I could have just published the Apollo Quartet as ebooks and left it at that. That’s all some self-published authors do, and they make a very nice living at it thank you very much. But I felt I needed a small press of my own, and hardback and paperback editions, in order for my novellas to be taken seriously. And that’s precisely what happened. I don’t think Adrift on the Sea of Rains would have been shortlisted for the BSFA Award, and then gone on to win it, if it had only been published on Kindle. But, as I mentioned earlier, I value critical acclaim above units sold, so that dictated how I approached self-publishing. It’s still my ambition to be published by a major publishing house. I plan to start soon on a novel, and I will not be self-publishing it. When I wrote Adrift on the Sea of Rains I was pretty sure no magazine or small press would publish it – which is why I did it myself. 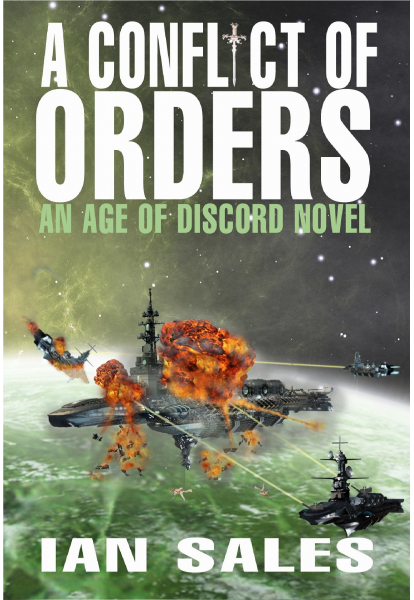 Its success came as a very pleasant surprise; but it has also demonstrated that I can write award-winning science fiction and, just as importantly, helped me find the space in which I want to write, the sort of science fiction I enjoy writing. I’m not a space opera writer, though I enjoy reading it; I don’t want to write cyberpunk or post-cyberpunk, though I admire some sf which is classified as that. I now know the type of science fiction I want to explore in my writing, and that’s what the Apollo Quartet has shown me. And I also won an award and made around £1000 while doing it. 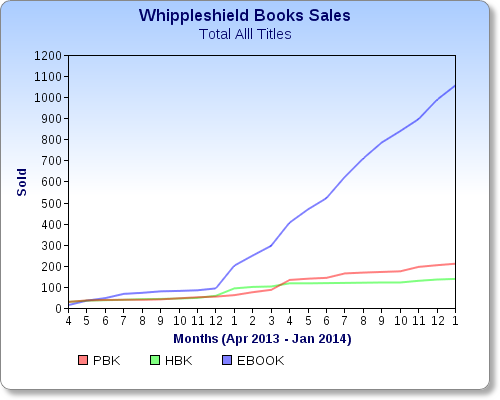 Categories: whippleshield books | Permalink. Terrific post, Ian, and I appreciate your providing hard numbers and real world experience–so much more preferable than the “pie in the sky” sentiments expressed by so many self-publishers, who confuse wishful thinking with nuts and bolts reality. I think your approach of self-publishing the efforts that may not have mainstream appeal/huge audience potential is sound–it’s a shame to let the little beauties languish in the bottom drawer until that vague future when your work finally achieves “commercial success”. And the fact that your press is operating in the black is a real achievement–you must be doing something right. Looking forward to the final installment of the “Apollo Quartet”. Thank you for this interesting and thorough look at your experience with self-publishing! I’m happy to hear that from your point of view, you were successful, and I wish you success for your future projects, as well. This is pretty close to my experience with self-publishing (non fiction and short stories, mostly, though I’ve got a novel coming out from a small press this year). One thing you don’t mention that *is* worth pointing out, though, is that the paperback serves another promotional function — when people see the paperback listed on Amazon for a higher price, they also see, on the Kindle page, a “You save £X” message. That makes the Kindle book look a better deal than it otherwise would. Surely people already know the format they plan to buy of a title? When I want a book, I’ve already decided if I’m going to get the paperback or hardback (it depends, of course, on the author). And most people, afaik, buy ebooks from Amazon through their Kindle… which means they don’t have a choice of format. You’d be surprised. I’ve seen sales of all my books take upticks when the paperback versions have made it to Amazon, and I’ve heard the same thing from several other authors. People do know what format they want, , but people who are browsing aren’t necessarily going to buy yet. If they see just, say, $5 on the page, they might think “that’s a bit much, I won’t bother”. If they see $5, but with the price of the paperback set at, say, $10, now they’re comparing the $5 ebook to the $10 paperback, and it looks like a bargain. It’s quite a well known thing in psychology — people fix on the first number they see related to a subject, and then no longer think of things in terms of absolute cheapness or expensiveness, but in terms of “more or less than that first number”. Last September, I dropped the price of The Eye With Which The Universe Beholds Itself for both ebook and paperback (tho the latter only on my website), but saw no resulting uptick in sales. The only factor that has affected my sales has been mentions in venues with large readerships. There is a link between between Amazon rating and sales, but you have to take into account how the varying total number of books they are dealing with affects the numbers. One such effect is that they change the coefficients of the equations they use every year on 25th December (my guess being this is the day when the least sales occur). Hence that downward kink in the curve for your first book. Good luck with your ALL literary enterprises. Obviously there’s some underlying algorithm, but I suspect any attempt to marry it to a specific number of units sold is a waste of time. There’s a kdp sales calculator, and if you enter a ranking of, say, 15,000 into it, it tells you that’s between 1 and 10 sales a day. Which is meaningless. It’s too large an interval to be useful. Well I’ve been able to marry my sales figures with what my publisher tells me, without using the specific maths, which came as a surprise to him. This is a great post and perhaps I need to do the same. But I would mention that my sales on Kobo and Barnes and Noble are actually higher than Amazon for one of my books. (Running about 100 copies a month). It’s not something I’ve managed to reproduce however with other books. iTunes has been next to useless but it also costs nothing to upload. You may want to keep supporting these other etailers if only for the potential for random luck striking. Thanks for a terrific post, Ian. There’s a lot of hyperbole and often not a lot of honesty connected with self-publishing (and for that matter, traditional publishing) and it’s always nice when someone speak out honestly and productively. You’ve helped a lot to clarify some of my own thoughts and future plans on the subject. Great post. I echo the sentiments here that its hard to grasp the exact metrics needed at times. It’s still a burgeoning marketplace and traditional publishers will have to find a way to lower their costs or even provide a new model for the way books are printed and distributed from source. I’m planning a non-fiction book with the idea to provide a media rich ebook first and foremost, with a special edition containing interactive sound, maps and images. There are on demand printers such as http://www.blurb.com but obviously prices are at a premium for short runs. But they do provide an interactive ebook template service. 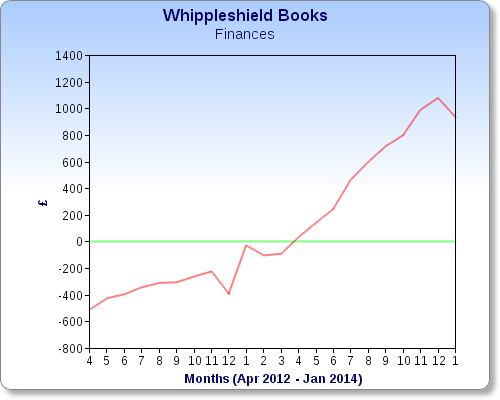 I’m not sure how you take away “traditional publishers will have to find a way to lower their costs or even provide a new model for the way books are printed and distributed from source” from my post – unless you’re referring to my own costs as Whippleshield Books. It’s true that I take all of the profit (when there is any) from each sale, but that’s because I’ve done more than simply write the books. If the Apollo Quartet had been published by a traditional publisher, then I would have been paid for writing the books – and the publisher would have arranged to pay for everything else from their cut. Have really enjoyed The Apollo Quartet after having “discovered” it via the Guardian mention. Took particular delight in “Then Will The Great Ocean Wash Deep Above” having used and written on Corona myself. The disbelief that the technology of the Corona programme and the wonderful imagery it produced provokes on first sight to those new to it is always entertaining. I’m sure you are right that your well-researched, beautifully written alternative histories of the space programme should find an audience in space enthusiasts. Have you thought of sending review copies to Spaceflight, the magazine of the British Interplanetary Society – they publish a good selection of book reviews on a wide variety of material and the magazine is well read with an international audience. Get in touch if you would like a contact there. Keep writing, I am greatly looking forward to your fist novel length offering. Hi. Thanks for the compliments on the Apollo Quartet. I’m actually a member of the BIS, and I have contacted them about review copies. They did publish a review of Rocket Science, a hard sf anthology I edited, in the newsletter Odyssey, but I’ve yet to hear back about the Apollo Quartet.